Bees pollinate nearly 85% of flowering plants and 67% of agricultural crops, provide essential ecosystem services in most biomes, and have an estimated global economic value of over 150 billion USD. Many of the over 1,500 bee species in California are severely declining in population size and range, driven in large part by anthropogenic landscape change. The combination of climate change and long-term fire suppression have led to fire regimes marked by large, high intensity burns. In the fall of 2017 Napa and Sonoma Counties in Northern California experienced unusually large and severe wildfires. In the early 2000s the LeBuhn Lab sampled bee and plant communities at sites located in oak woodlands in both Sonoma and Napa Valleys, about half of which burned in the fall wildfires. With wildfires becoming increasingly common in areas where fires have historically been suppressed, understanding the impacts of fire on ecosystems and ecosystem services is incredibly important. Bees are a keystone species in nearly every biome on earth and are impacted by fire both directly and indirectly through the complex relationships between resource availability and pollinators. Understanding how fire changes bee and plant communities, and whether these changes help to make the communities more resilient, will provide the scientific foundation on which future fire management and restoration decisions can be based. Through this project we hope to expand a multi year data set tracking how plant-pollinator networks change following wildfires and to understand what makes a network resilient. We will hand net bees and record plant associations at 9 sites distributed throughout the Napa and Sonoma valleys. 4 of these sites burned in the Fall 2017 wildfires and 5 sites did not burn. We will share our findings with landowners and managers in the region through local outreach and with the global scientific community through publication in a scientific journal. We would like our research to add to what is currently known about how disturbance impacts plant-pollinator communities and to inform pollinator conservation. We hope to fund the first season of field work involved in this project. Expenses associated with the project include purchasing supplies (bee nets, collecting vials, insect pins, etc. ), the mileage required to visit our field sites, contracting a taxonomist to identify the bees, the publication fee, and a salary for the student researcher. I am excited to see the outcomes of this project! I think it addresses questions pertinent both to ecology and land management. 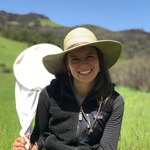 Our understanding of fire's effects on invertebrates, especially bees, is relatively limited and Molly's work should help to flesh out the interplay between fire, plant communities, and bee communities. Molly is an inquisitive and competent young scientist earning her Master's degree in biology from SFSU, and I'm fully confident that she's the right person to answer these questions. Set up sites and begin sampling. Continue sampling sites once every two weeks. Pin bees and identify plants as they are collected. Complete the final round of sampling at all sites. Pin any remaining bees, label and sort all bees. Send bees to the taxonomist for identification. Analyze the data and write the publication manuscript. Submit the manuscript on the first year of data for publication in a scientific journal. Spending time outside learning about the variety of habitats and creatures that we share our lands with has always excited me. Growing up in a forestry family in Oregon I developed an interest in the intersection between working lands and conservation biology. At Whitman College in rural Washington I earned my bachelor’s degree in environmental biology with a focus on the impact of forest management on songbirds. I have been fortunate to be involved in a variety of conservation biology projects including a forest fire history study in the Tetons, endangered lake sucker rearing and research in the Klamath Basin, and bull trout reintroduction. Working with the Xerces Society on a project to promote the listing of the rusty patched bumble bee as an endangered species led me to my current passion, wild bees. I am currently in my second semester of a master’s program in ecology, evolution, and conservation biology at San Francisco State University. When not netting wild bees I enjoy trail running, drawing, and baking cakes. 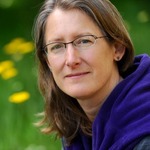 Gretchen LeBuhn, PhD is a Professor of Biology at San Francisco State University and the Director of the Great Sunflower Project. She is an ecologist and conservation biologist whose work focuses on understanding the relationships between changing landscapes and biodiversity and using this information to promote conservation and sustainable management. Her current research focuses on the role of management promoting biodiversity in grasslands and forests of California, the role of green space in maintaining biodiversity and ecosystem services in cities and understanding the effects of climate change in montane meadow communities. Her work ranges from the development of mathematical models to citizen science to field studies. She was elected to the California Academy of Sciences in 2006 and was a lead author for the Intra-governmental Panel on Biodiversity and Ecosystem Services (IPBES) report on pollinators and pollination services. She loves being outside in California! Thank you to everyone who has already donated your time, enthusiasm, and expertise. A special thank you to San Francisco State University, The Sonoma Ecology Center, Bouverie Preserve, Van Hoosear Wildflower Preserve, Hudson Vineyards, Quintessa, Stag’s Leap Wine Cellars, Constellation Brands, The Sonoma Land Trust, The Land Trust of Napa County, The Sonoma Resource Conservation District, Santa Rosa Junior College, and the private land owners who have allowed us to sample on their properties.